Whiskas Dry Cat Food is made with fresh meat, vegetables and eΒential vitamins and minerals. Whiskas dry cat food contains tasty nuggets, which are crunchy on the outside and have a delicious filling on the inside! Your feline friend is sure to love them! Whiskas dry cat food offers high-quality, complete nutrition for your cat, ensuring they receive everything they need to lead a long and happy life. 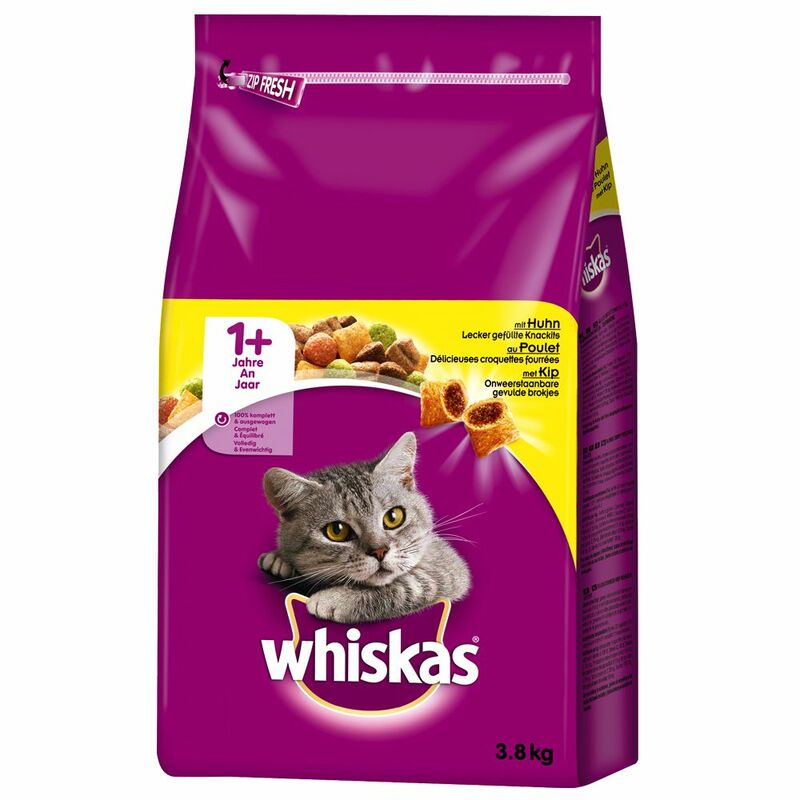 Whiskas dry cat food comes in a practical resealable bag, which ensures that the kibble stays fresher for longer. More information about the individual varieties can be found here: Whiskas Dry Cat Food Please be advised: the images of the products on our site are for illustrative purposes only and actual packaging may vary.